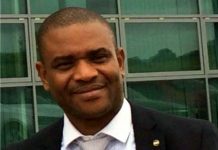 Dear esteemed readers, due to popular demand, we are repeating the interview with the Director-General of the Rivers State Bureau on Public Procurement, Mr Franklin Nlerum. The trouble with governance in Nigeria, has been the inability or the reluctance of public officers to exhibit, even to some reasonable extent, a degree of openness and transparency in the conduct of public affairs especially when it concerns the general good of the citizenry. This explains why many a Nigerian citizen still believe that nothing works and nothing will ever work in Nigeria nearly 50 years after its political independence from the British colonialists. Yet, only seven months to Nigeria’s golden jubilee, there are a few Nigerian elite who still believe that out of the present seemingly hopeless situation a great and prosperous nation will emerge. One of such Nigerians is Barrister Franklin Nlerum who sits atop the Rivers State Bureau on Public Procurement (BoPP). A seasoned lawyer and banker, Nlerum, who hails from Rumuokwurusi in Obio/Akpor Local Government Area of Rivers State, in an intellectually-ravishing session with The Tide Editorial Board members in the weekly personality programme, The Roundtable, canvassed unreservedly, the need for the elite and others entrusted with the responsibility of providing public goods to strictly play by the rules. 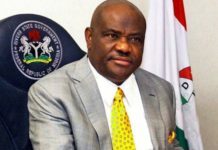 He said until that is done, the dream of building a virile and meaningful political super- structure hinged on a sound economic sub-structure in Nigeria, nay, Rivers State would remain a mirage. A man of capacious intellect and deft navigational capability, Nlerum with an intellectual profundity, explained the workings of the BoPP, insisting that the society would be better for it if public men, and indeed, every stake holder exhibits some level of probity and accountability in matters of pubic good and interest. What is the mandate of the Bureau? The mandate of the Bureau is more like a preamble to the Rivers State public procurement law of 2006. It is an agency that supervises public procurement in the state and sets a standard within a legal framework, harmonising existing policies that essentially sum up what the Bureau does. The core of what the Bureau does also derives from section 14 of the law, which stresses the need to ensure value for money, competence and purpose in procurement. It is also to ensure efficiency in the economy and in the provision of goods and services. So essentially, the mandate is to ensure that every money spent by the state translates into benefit to the people of the state. Being a new organisation, how has the Bureau been able to cope with its mandate under the current democratic experiment? Well, like every organisation, when you are building you have different challenges. Challenges are also an opportunity because nothing is stopping you from building and competing. I usually tell most of my colleagues that we are privileged, privileged because, as pioneers, we have the opportunity and benefit of leaving our footprints. The challenges will mean that we must have new way of doing things. The essence of what is being done now has been part of the system in the past. I think our basic challenge is actually the problem of chain management because we are transiting from a regime where people do things the way they deem fit to a regime where you are asked to do things according to a certain specified standard. It is natural for people to refuse it. However, this is a change that has come to stay. We just need to engage every stakeholder to ensure that the objectives are achieved. Does the bureau really have the support of the state government? Relatively yes, I think the Bureau of Public Procurement at the federal level is not enjoying the kind of support we have in Rivers State. Here, in Rivers State, between the Governor and the House committee that is over seeing the affairs of the Bureau, we have the support that gives us the responsibility to do what is right. The limitation is natural. When you are handling chain management, anybody who is conversant with chain management will realise that you need to first sell the products, to exercise the new order before you begin to ensure compliance. So, the necessary support from the highest quarters is available to the Bureau. It is believed that BoPP delays public procurement. How true? Very interesting question. This claim is not peculiar to the Nigerian system. In February, I was in Ethiopia for a workshop on public procurement for Sub Sahara countries, and naturally everywhere, the claims and allegations were uniform, that the authority in Ghana or other places as the agency is called are responsible for the delay in public procurement. But it would be too simple to say no. Lets look at the crux of the bottleneck. Let me illustrate with the Ministry of Education. Government is providing uniforms for students, rather than apply, you wrote a letter saying, the government wants to provide uniforms for the students and that N272 million is required to provide the uniforms and that the Bureau should consent to it. Now, the Bureau is not Franklin Nlerum who is not even a board member. The Bureau is a legal entity and must operate within the framework of the law setting it up. And the law requires that if you must spend the money belonging to the state, there are certain steps you must take. As a general principle, every expenditure must proceed from what we call open competitive bidding. So, you need to advertise, alternatively there are exceptional situation the law recognises. If you do not do open bidding, open bidding will take at least six weeks for advert period. Such bidding is called direct procurement or single sourcing. Now the application or letter never refers to any means of requirement when it comes to us, we have to reply and ask them what they want and how they are going about it. When the letter goes back to the Ministry, a week or two must have been lost, and by the time it gets to the public domain, nobody is telling you that the law is not being followed. money? What is the necessity for the expenditure? How do you want to spend it? In the case of a state, within the broad frame of administration, the needs are known. Provision of primary health centres are known. So before the budget for the year, the Ministry or procurement entity should as provided by law, prepare a procurement plan. Upon the application from the House of Assembly, we will implement. However, these things are not done and somebody wakes up and say there is flooding problem. Flooding problem is not an organised problem, it is a problem that has been observed. It is either because that the urban planning rules are not respected or the environmental degradation leading to people dumping waste in the waterway. When you come under the flooding problems, you must show that every consideration for effectively dealing with the flooding problem has been taken into an account. You just do not come and say there is flooding problem along Iloabuchi and therefore we have to de-flood. You must show us that the de-flooding must solve the problem. So you find out that the delay is caused by the adhoc nature in which we undertake government business and the unwillingness on the part of a number of officials in the procurement entity to follow the rules. May be, by the time we try it, we may actually get to the point of putting the Bureau on the spot. You are the one delaying. I think when we get the opportunity like this, we let the people of the state hear our own side of the story. They begin to know whether the delay is coming from the Bureau or from the procurement entities. What will it profit us to keep their applications or delay them? Ultimately, what we are here to do is to serve the people of the state, so it is actually a partnership, but the issue is that there are people at different points with a value chain, everybody has different functions. It is necessary to appreciate what each person or agency is bringing to the table so that they will run a smooth course in a manner that at the end the intended objective is realised. 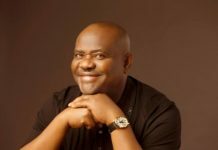 Is Due Process actually working in Rivers State? Well, I believe that the taste of the food is in the eating. We intend to engage the public and explain to them what we are doing and the role expected of them. Due process is working because there are transactions. Projects that are being undertaken now ordinarily have been there. Before the Bureau was set up, nobody questioned any contractor with respect to design and pricing. no longer so. There is a project going on at Ken Saro Wiwa road. 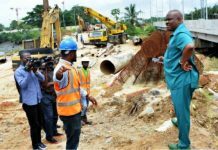 On the basis of the review of the design, further access road as a relief road from Aba road had been added. When that is completed, people using the road will begin to see the benefit. But if these things are without an agency that will look back and ask, Ok, this is what we want to do, what is the ultimate benefit? Or how does it solve the problem of traffic congestion? It would not be proper that you have done a beautiful road but yet, there are still traffic congestion. So, when you play that relief role, it is the function of understanding that the road you are constructing must be fit for a purpose and the fact that the drainage problem around there are things that should thoroughly be dealt with. In this way, the roads that are being constructed will be durable and will serve a purpose. Secondly, when we do our price intelligence work, we save public money. If you go into savings and this savings translate to funds available for other projects in the state, the state as a whole is better for it. It is entirely possible that some of the things that government is currently doing may not have been done if not for the existence of the Bureau. I will give you an example. The Special Assistant to the Governor on Millennium Development Goals costed the funding for 50 hospitals but because he (the S.A.) had elected to follow the steps outlined in the law, he was able to equip 66 hospitals. I think these are the kind of things people should know. That when you follow those steps outlined in the law, there are benefits that reach the people because by following the processes, we were able to extend the reach of the contract available. Does BoPP really punish defaulters? We would be reluctant to punish defaulters now. But it is about time we started enforcing the law. When you want to handle chain management, sanctions and punishment should not be the central focus, if it becomes the central focus, you will get an atmosphere that may undermine its real intention. The intention of the law is not about putting people in prison, but we will do that as it stands now. That is the direction we will head to. The intention of the law is to create a level of awareness that everybody begins to think towards the resources of the state as if it is personal resources. After all, it belongs to all of us. Government comes and goes. Take for example, you want to construct a road, you have to consider the whole life of the road both in the time and execution. Should the road be constructed and after six months or nine months, it fails? Is that what the road should be? Why is the road failing? We need to get people to understand that doing there job thoroughly is actually a service to themselves. When that fails or not being realised then, the punitive provision of the law comes in. And when you find persistent reluctance, that is when there is a refusal, failure or inability to do what is right, the consequence follows naturally. To that extent, we are not forthcoming with saying that this number of procurement entity has violated or offended the law. What other steps can you take without prosecuting offenders? We have cancelled a number of transactions. You may have heard that a rural electrification process was completed where as it was not completed. Since it did not comply with the law we cancelled it and asked the contractors to recommence the process. How much have your Bureau been able to save for the state? Just like we are reluctant to carry out any punitive measures against defaulters, we have also chosen not to be advertising the savings. But between the Ministry of Budget and Economic Planning, and Ministry of Finance, they know the savings and in our annual report which will be out at the end of this month, we will show it. We have consistently said at every occasion we talk to the press that our focus is not on the savings. The savings are just bye-products of doing what is right and what is expected of us. By the law, if we continue to monitor, review, guide, vet and certify products, we will always have savings for the state and we are making them. Between June and December 2009, projects certified in Rivers State have saved over N15 billion for the state. And in the last three months, about N5 billion was saved. How do you check excessive spending by the executive? I am sure you are aware that Governor was the former Speaker of the Rivers House of Assembly. Ordinarily, that means that we should be cautious of not allowing the Executive to get out of line. Certainly, we do not certify a project without an evidence of budget clearance. And budget clearance cannot be a proposal; it must be budget that has been passed by the state House of Assembly. So, budget clearance is a statutory requirement for the certification of projects. We can say that no budget can be undertaken without going through the Bureau and without the approval of the House of Assembly. It is only approval of the House of Assembly that forms the basis of certification by the Commissioner for Budget and Economic Planning. On the duplication of projects, unfortunately, that is one area we are having some challenges. And that is why between March 29 and April 1, 2009 the Bureau will be holding a workshop on public procurement planning on their part the local government areas have been operating as if they exist in isolation with total disregard to the law and they undertake projects that cannot stand the test of time. When a local government is doing a project they should show us specification why they should proceed even though we can not actually compel harmonisation of projects. But if, for instance, a local government would want to build a health centre, it must state why it wants to do so when the state government is building several health centres in all the local government areas. Mrs Grace Dada, an Administrative Officer II, is on level 8 step 2 in one of the Federal Ministries in Abuja. 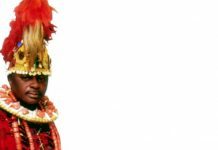 Dada earns N36,000 monthly. Though the 32-year-old mother of two had worked with her Ordinary National Diploma (OND) for some years, her current status is at par with that of a fresh university graduate newly coming into the federal civil service. Dada’s husband, Joe, 36, has been out of job for six years since the newspaper where he was a reporter folded up. The wife is the breadwinner of this family that is living in a “one-room-self-contained” in Kubwa Village. Kubwa, a satellite town of the FCT, is 35 kilometres away from Abuja city center and the ministries. But it is also where the Dadas can afford a 10ft by 10ft room with a yearly rent of N150,000. It has its private conveniences – a tiny toilet/bathroom and a kitchen. It is a self-contained apartment! “The rent alone takes about half of my salary. But, I am aware that I would be asked to cough out between N300,000 and N500,000 for the same apartment in Abuja city. “If not for the ministry’s staff bus, I would have gone berserk because Abuja to and from Kubwa costs about N400″, Dada explains. However, the worst of her worries is giving the children a good education. “Everyday I pray that things would change for the better soon. At six and three, my sons are in primary one and kindergarten in a low-fee-paying school in Kubwa. The public schools are free but they lack standard and infrastructure. “Already, I am owing a term’s fee on my children. My saving grace is that their school’s proprietor is my church member. ”I am afraid of how to give my boys good education later in life. My mother in-law is for more grandchildren. But I and my husband know it would be a stupid move as we are yet to adequately cater for ourselves and our two sons,” Dada says. The Dadas paint the picture of the average Nigerian government worker’s family. The lowest salary or minimum wage is N7,500 or 50 dollars a month. That is at the federal level; the state and local governments pay lower wages. Rice, which has become the staple food of Nigerians, costs between N9,000 and N12,000 a bag – more than the minimum wage. Hence, most workers do not just live from-hand-to-mouth but go borrowing. The Nigeria Labour Congress (NLC) – the umbrella body for workers’ unions — is at the vanguard of the demand for a N52,000 (US$360) minimum wage for federal workers. The NLC says this will be minimum “living wage”. Though low compared to salaries and wages worldwide, the N52,000 minimum living wage is expected to bring smile and dignity back to junior civil servants. A living wage is considered an emolument on which it is possible for a wage earner or an individual and his or her family to live, at least according to minimum customary standards. It is also defined as a wage sufficient to provide minimal satisfactory living conditions. In 2009, the organised labour held series of rallies to sensitise Nigerians on the ills inherent in government foot-dragging in approving a minimum living wage. Abdulwahed Omar, President of the NLC said the demand for a new minimum wage became necessary given the current high cost of living. Omar wondered why Nigeria, an oil-producing nation, should be paying one of the lowest wages in the world to workers in its civil service. “This is true when taken against the absolute national currency as well as wages and salaries based on Purchasing Power Parity (PPP) which adjusts the national currency for the differential cost of living of the relevant nations. 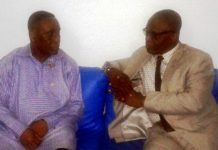 “It was in recognition of how bad the situation was that led the NLC to demand for wage increase during the President Olusegun Obasanjo regime, which culminated in the signing of an agreement aimed at providing a living wage within three years’’. Omar, however, argued that the consequences of the abdication of the agreed approach to the implementation of the phased wage increases had been sharply depressed wages and salaries. According to him, since the 15 per cent increase within the framework of wages and salary consolidation, a number of developments have further depressed the actual take-home pay of workers. “Inflation has intensified in the last one year, with the cost of living index in the urban sector increasing by over 14 per cent. “The disproportionate increase (20.9 per cent) in the cost of food means that the erosion in the real wages and salaries of workers is alarmingly severe. “The process of monetising and consolidating in-kind, benefits which were hitherto not taxed has resulted in an escalation of the tax paid by workers. This has further depressed the real take-home pay of workers’’, Omar added. Labour is further spurred to ask for increased wages because public appointees and political office holders earn even much better than the living wage in comparison. Labour said it was surprisingly that political office holders have been able to increase their own wages and allowances by over 800 in recent times while those of civil servants were being further eroded by a higher tax regime. A document on Remuneration Packages for Political, Public and Judicial Office Holders in Nigeria, said theirs was “a function of changes in the basic fundamentals of the Nigerian economy, external reserves, Gross Domestic Product (GDP), growth rate, rate of inflation and the need for a living wage”. Labour argued that apart from the erosion in the real take-home pay of workers, the relativity in the economy was quite skewed against the working class. “A comparison of workers’ pay to that of political office holders within the same public sector does not suggest that there is a rationale or principle guarding salary and wages in Nigeria. “While workers’ salaries increased by only 15 percent between 2006 and 2007, those of political office holders increased by over 800 percent’’, labour said. Workers in the public service recently threatened to commence an indefinite nation-wide strike over what they termed as poor remuneration and the refusal of the Federal Government to accede to their request for salary increase. These workers emerge from eight unions in the public service, under the Joint National Public Service Negotiating Council (JNPSNC). Chairman of the JNPSNC, Olakunle Olaitan, opined that currently, there was a serious problem of disparity in salaries and wages payable for work of substantial equal value within the public service. Olaitan said the last increment in the salary of certain political, public and judicial public office holders affected only the permanent secretaries and left other categories of workers from the directorate cadre downwards with their previous meager salary. He disclosed that currently “while a permanent secretary receives N1.34 million per month, a director — next to him in rank — receives N145, 150 per month”. According to him, this has affected morale and goes against the consolidated salary structure based on the existing relativity in the public service. He further explained that based on the public /civil service system and the consolidated salary structure, a director should earn 50.86 per cent of a permanent secretary’s salary. In its bid to assuage workers’ frayed nerves, the Federal Government has inaugurated a tripartite committee on a new national minimum wage. It is being chaired by a retired Chief Justice of Nigeria, Alfa Belgore. At the inauguration of the committee, Alhaji Yayale Ahmed, Secretary to the Government of the Federation implored it to address the needs of the Nigerian worker for a decent life. “This committee has been inaugurated in the context of profound changes in the global economy, of which we are important as a national economy. “This has made it necessary to consider the demand by organised labour with great care”, Ahmed said. Also, the immediate past Minister of Labour and Productivity, Prince Adetokunbo Kayode, said the inauguration of the committee was to kick-off the Federal Government effort at ensuring that Nigerians earn appropriate income. Kayode said the committee was expected to review the current remuneration of workers and come up with suggestions to the government, taking into consideration the prevailing economic realities within the global space. “The committee will be saddled with the responsibilities of looking at all the facts that concern salary issue in Nigeria and make suggestions to government on what should be acceptable. “This suggestion would have to look at the prevailing economic circumstances in the world today because there is what is called ability to pay for sustainability sake”, he said. However, seven months after the inauguration of the committee, workers are complaining that it was foot dragging on taking a decision on a new minimum wage. Mr Solomon Onaghinon, General Secretary of the Association of Senior Civil Servants of Nigeria (ASCSN), said the committee should treat the issue as a matter of urgency. In the same vein, the President, Chartered Institute of Personnel Management of Nigeria (CIPM), Dr. Oladimeji Alo, argued that minimum wage in the developed world was always anchored on the inflation index and reviewed automatically, perhaps, once in two years. “You don’t wait for several years until it becomes an issue; that is what we call employer’s advocacy in the private sector. “The Human Resources Manager is supposed to advise management not to wait until the wage structure becomes outdated, until people stop coming to work, before reviewing the salaries. “Government needs to be proactive, that is what is lacking in the public sector. Government waits so long until the minimum wage becomes relevant, before taking action. “We as an institute, are fully in support of a review in the minimum wage to take account of the major decline in the purchasing power of the old minimum wage”, Alo said. The current tension in the labour sector will be doused by a quick and favourable recommendation to government on the minimum wage and other civil servants’ take-home pay.